The J-20 prototypes are said to be very similar to the Lockheed Martin’s F-22. While in shape, weight and engine power the J-20 resembles the McDonnell Douglas’s F-15C which was designed during the Cold War Era. The J-20’s maximum weight is estimated to be 36 tons. 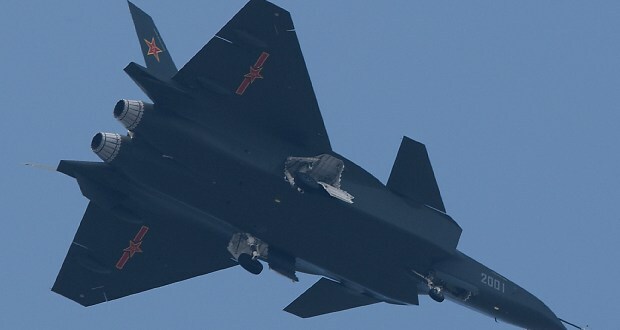 Suspicions are that China’s J-20 is produced using America’s F-35 data, which was stolen by some Chinese hackers. “If one day the United States decides to export the F-22, China might consider lifting its ban, as well,” he said. Is it just that good or is this a "me too" moment? I don't know but I want to do a personal check on my views of the Chinese military. Patton once said that "its a mistake to underestimate the enemy and its a mistake to overestimate them too". During the cold war the Soviet Union was 10 feet tall and their tanks were made of unobtainium. The Chinese are a threat but they're a manageable threat if we do the work and take them seriously.